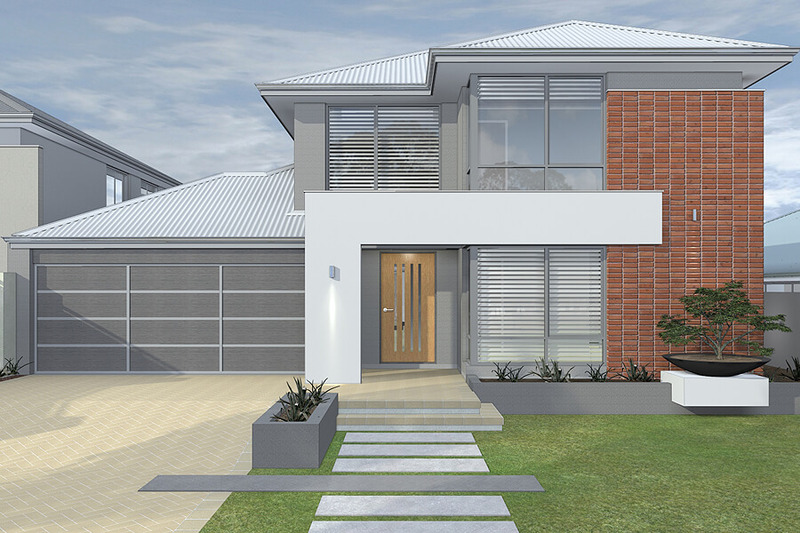 Imagine a house that maximises yard space on the smallest of lots while still granting living room, comfort and easy entertaining. 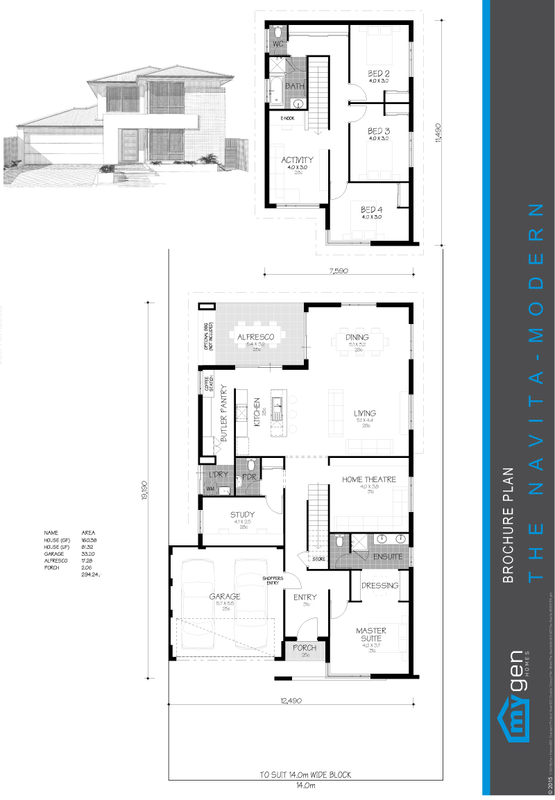 The Navita adopts passive solar design principles and would suit most block orientation. The master bedroom has an open dressing room connected to a double vanity ensuite. The Navita is an entertainment delight. Secluded bedrooms, activity and e-nook are located upstairs, while a home theatre, open space living, dining and a discreet butler’s pantry with potential use as a secondary cooking zone with access to alfresco are located downstairs. The perfect home for you and your family!